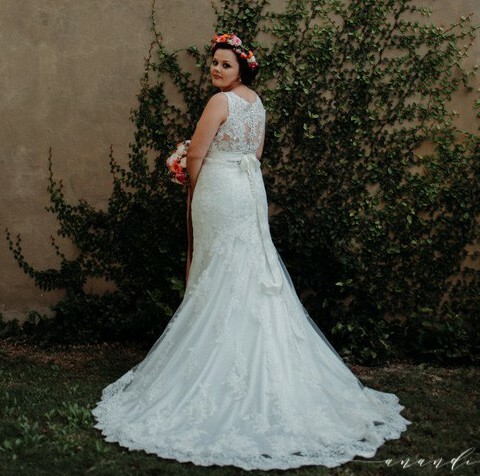 I felt so comfortable and beautiful in my dream wedding dress. Delicate corded lace on tulle skims the shoulders and neckline of this lightweight wedding dress with attached Monroe slip dress while buttons trail a zipper closure accenting a deep, illusion back. The dress was made shorter.